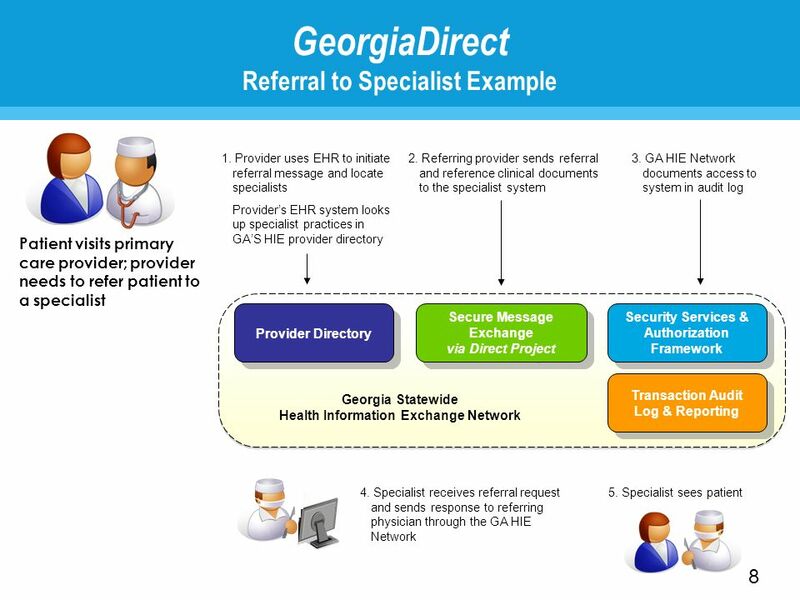 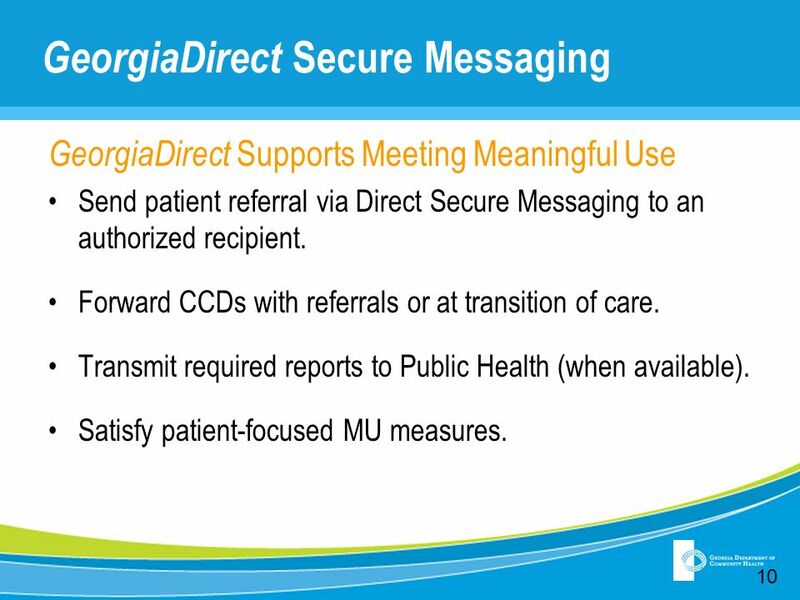 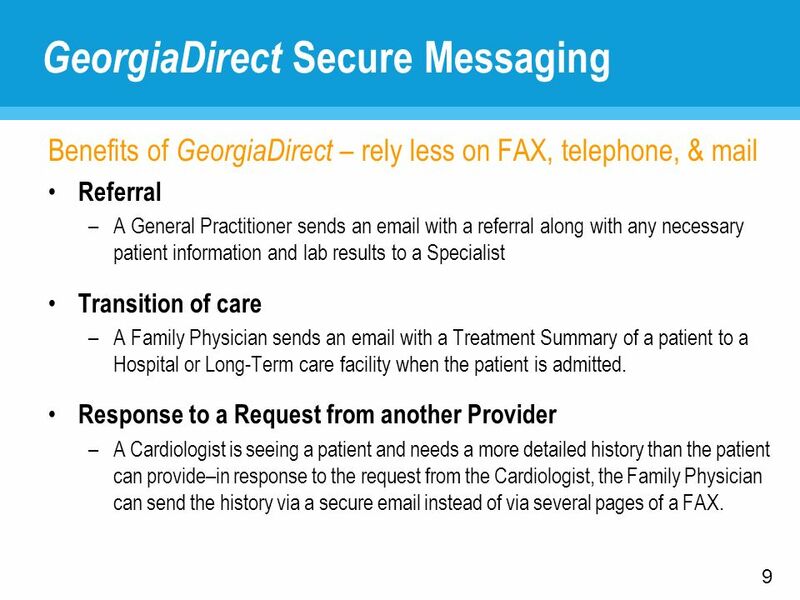 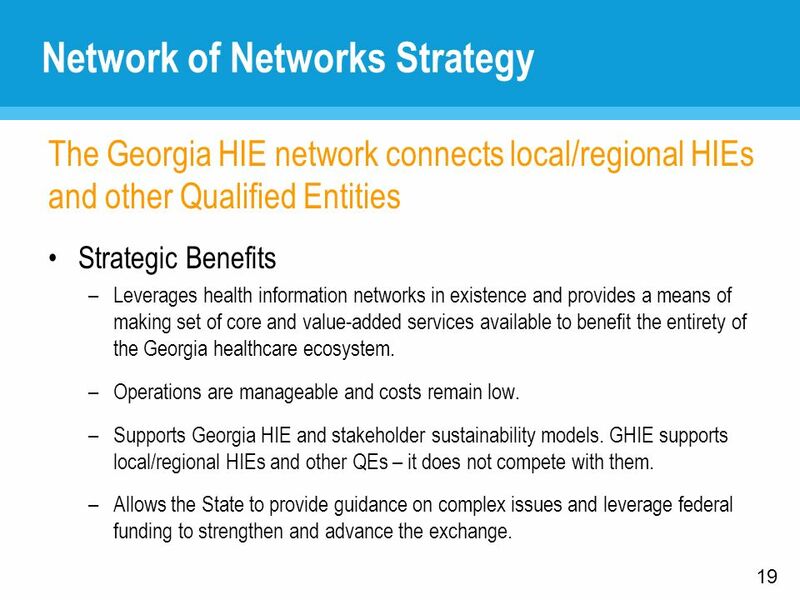 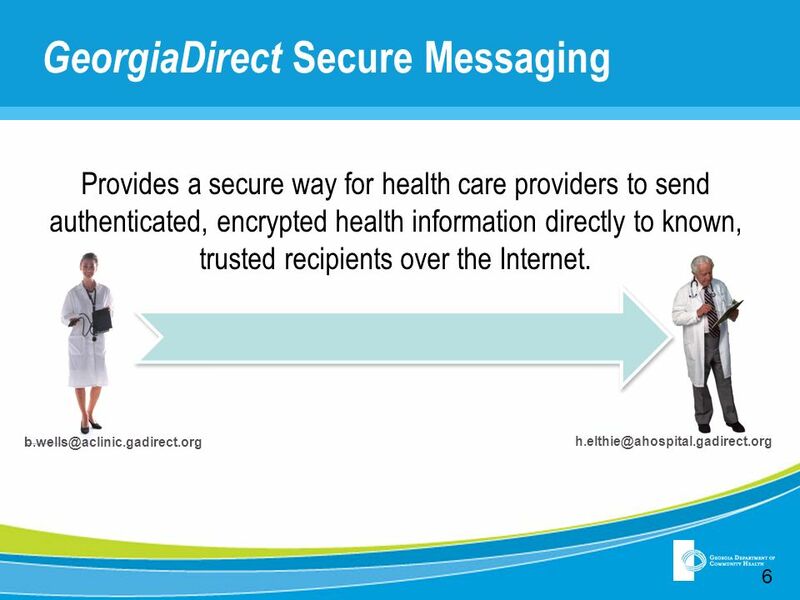 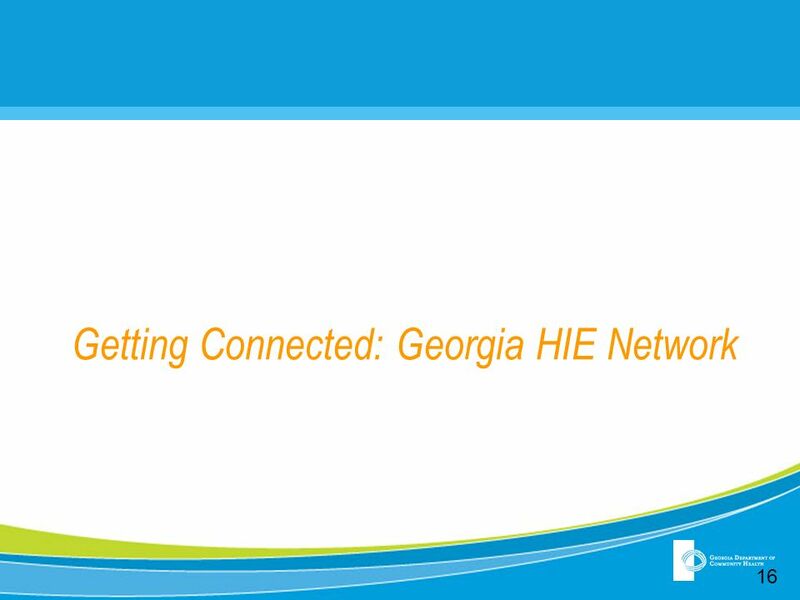 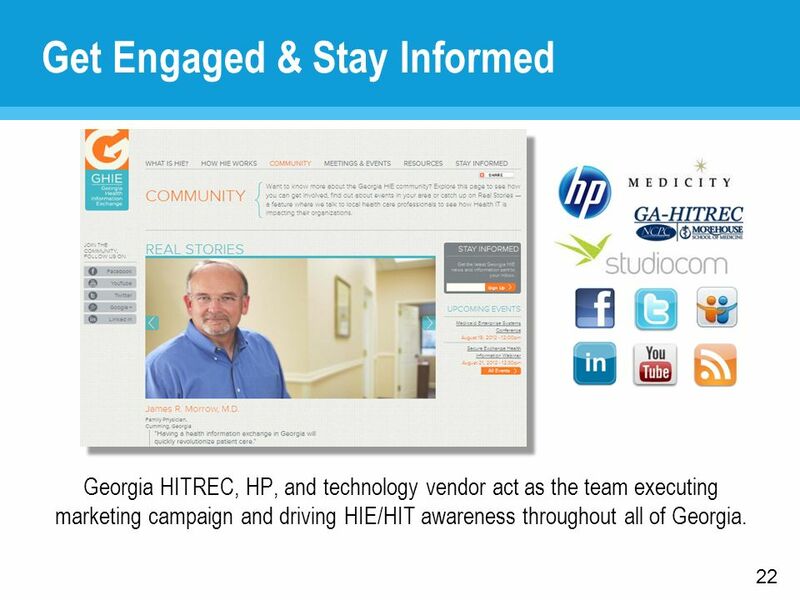 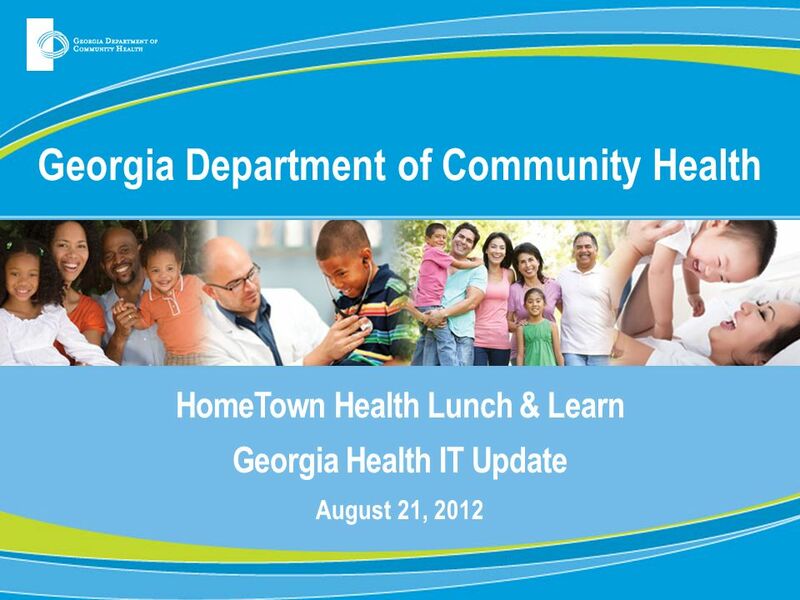 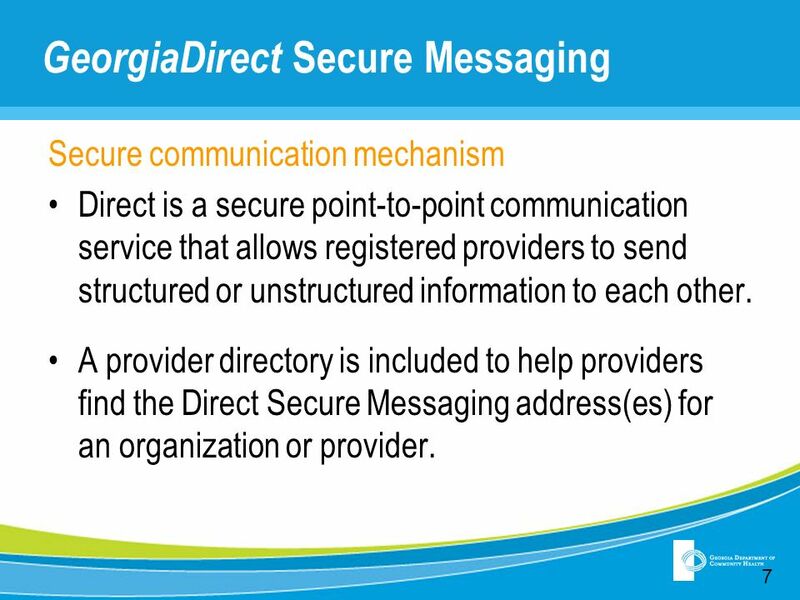 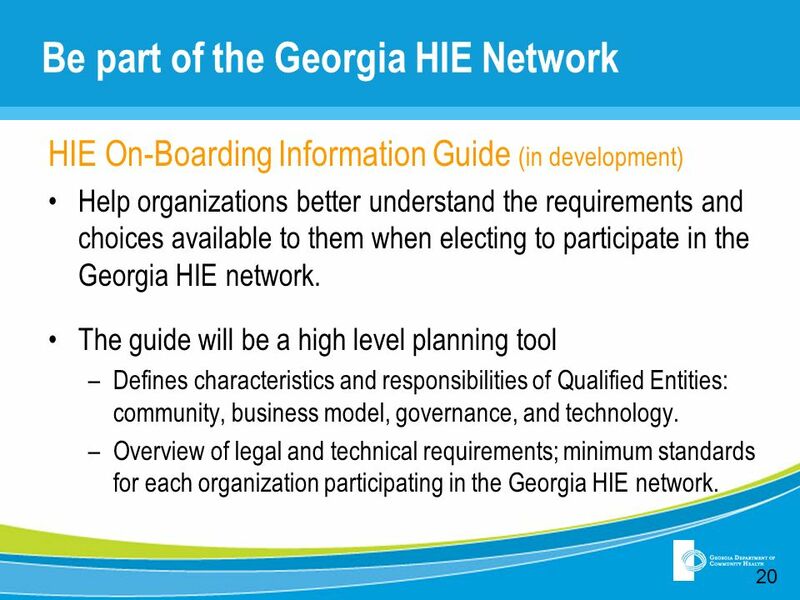 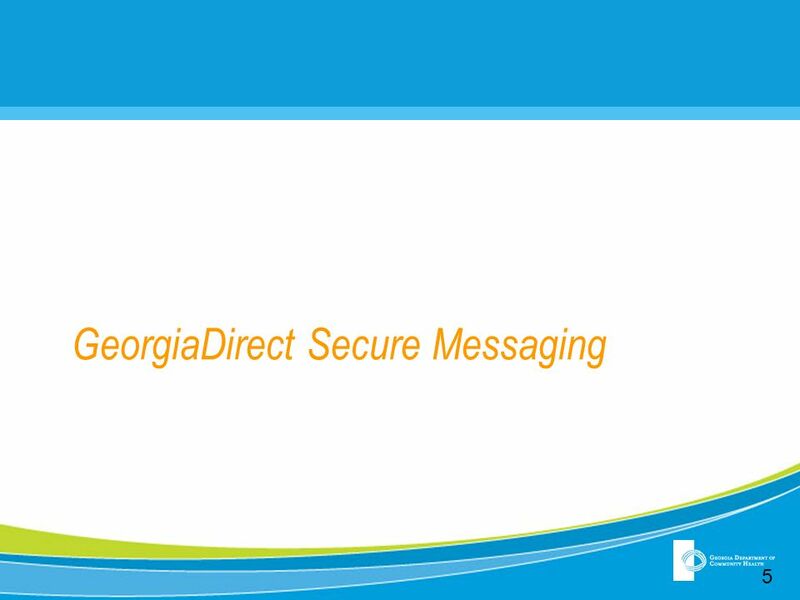 Download ppt "Georgia Department of Community Health"
National HIT Agenda and HIE John W. Loonsk, M.D. 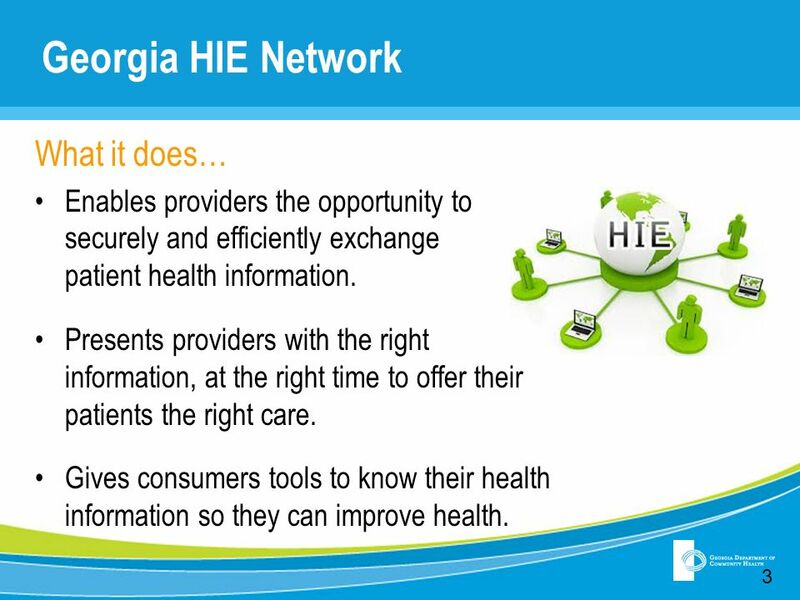 Director of Interoperability and Standards Office of the National Coordinator Department of Health. 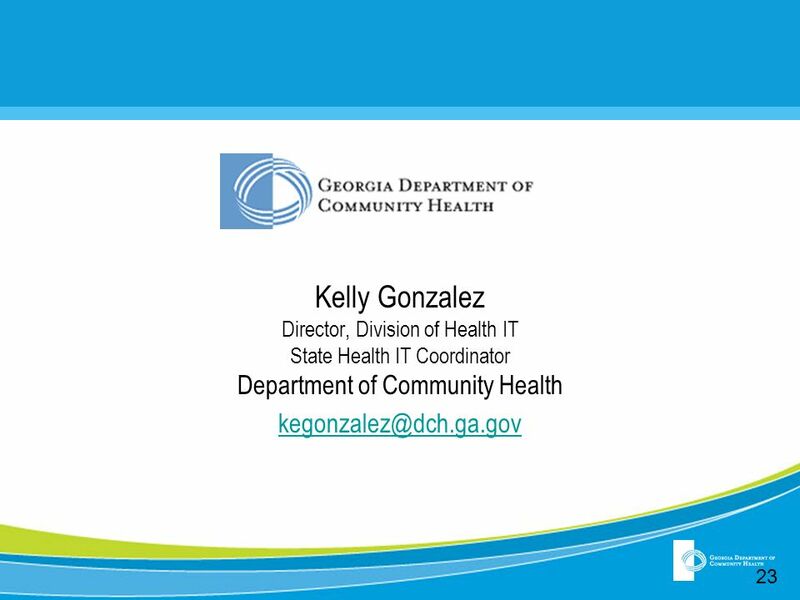 Cheryl M. Stephens Executive Director Community Health Information Collaborative July 17, 2006 Community Health Information Collaborative and the Northeast. 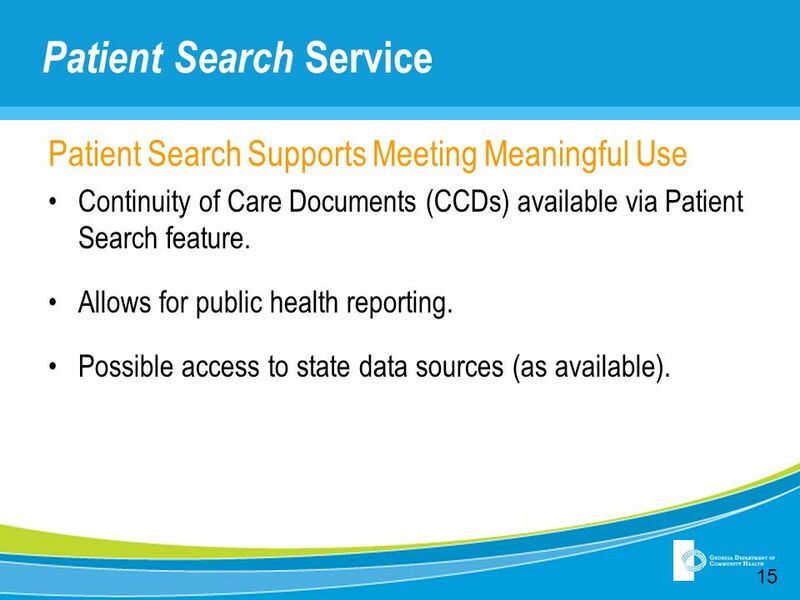 Health Information Technology Statewide Plan December 2012 Jim Leonard, Deputy Director MaineCare, Director, Office of the State Coordinator for Health. 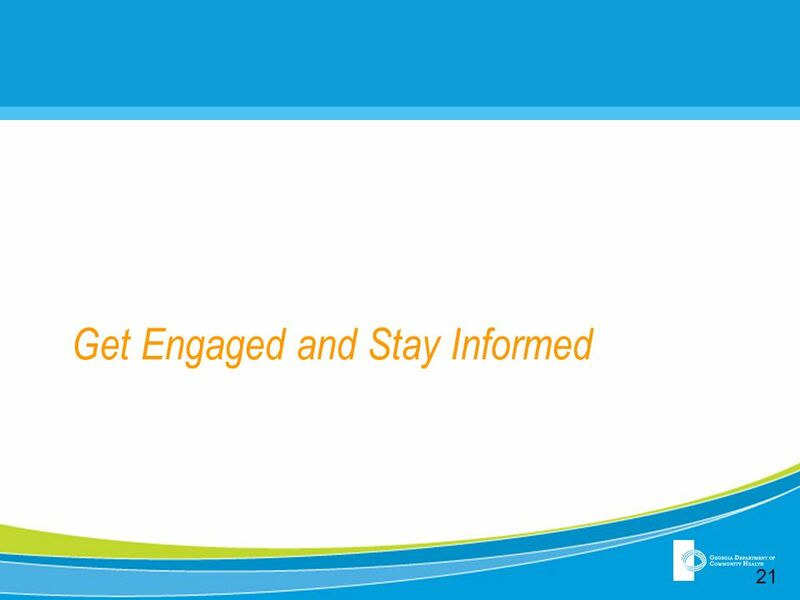 ONE® Mail Training Presentation North York General Hospital North York General Hospital. 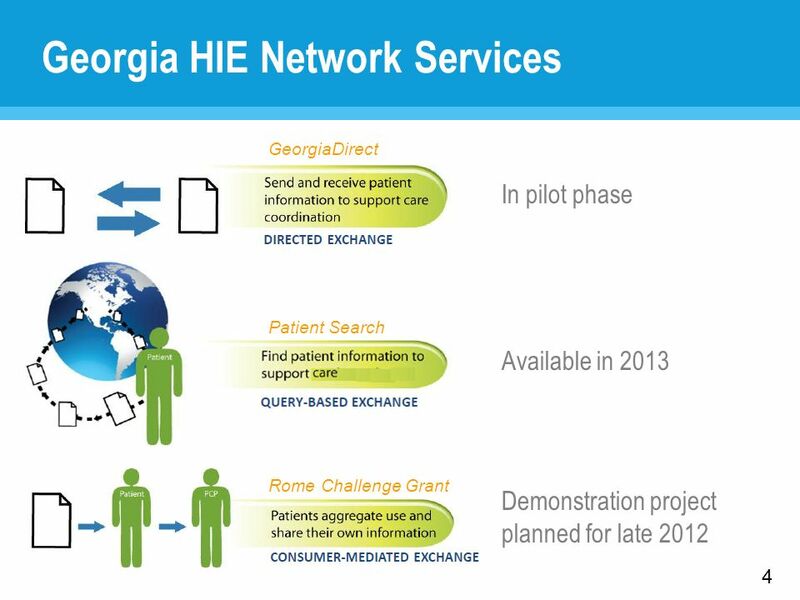 Meaningful Use Update: How to Prepare Dr. Denise W. Hines, PMP, FHIMSS Director-Outreach & Education GA HIT Regional Extension Center. 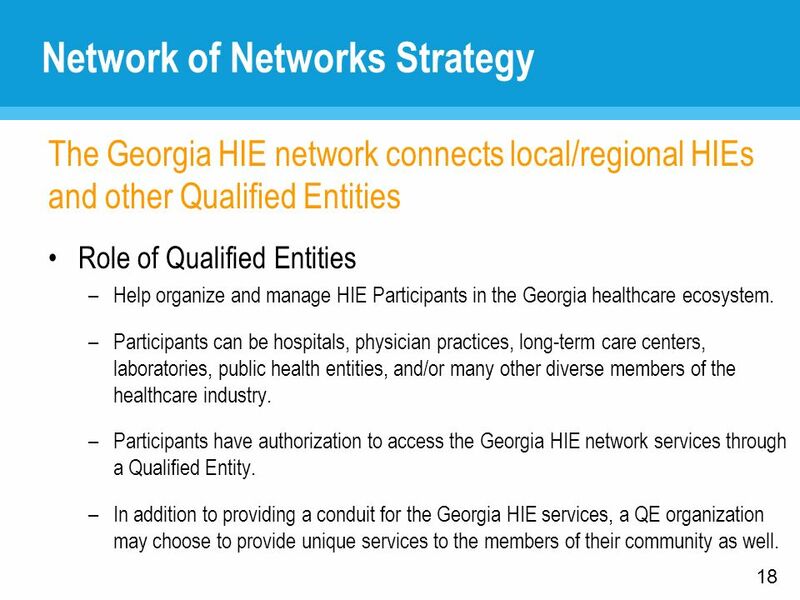 OVERVIEW CAH and Rural Hospitals August Goals and Objectives Collaborate with Statewide Partners Competent Technical Teams Work Collaboratively. 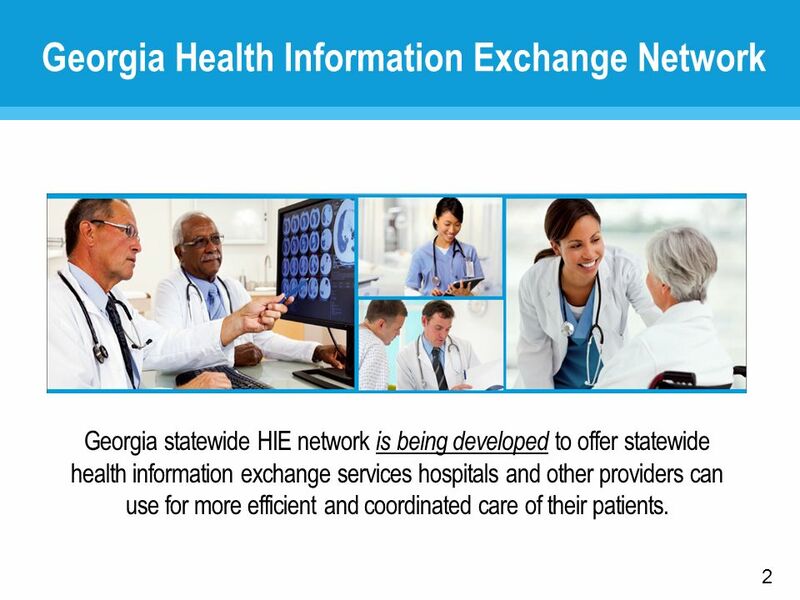 September, 2005What IHE Delivers 1 Karen Witting IBM Cross-Community: Peer- to-Peer sharing of healthcare information. 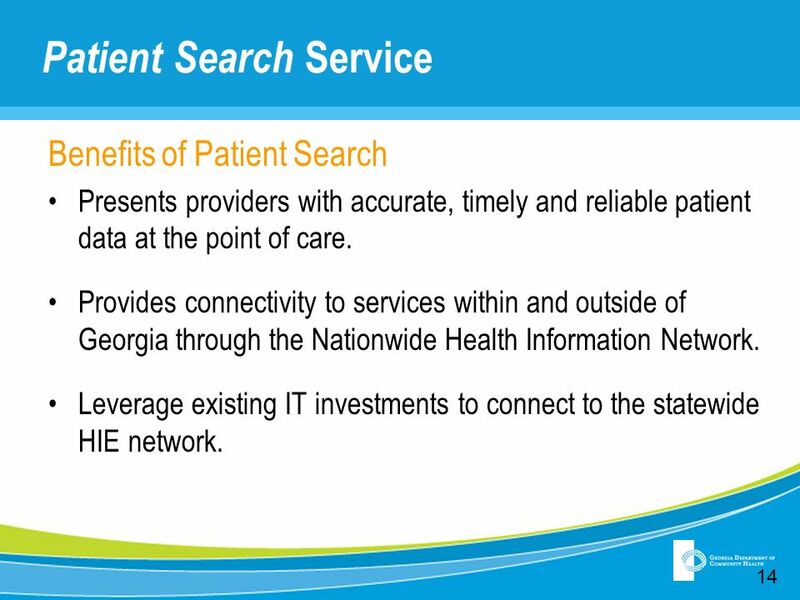 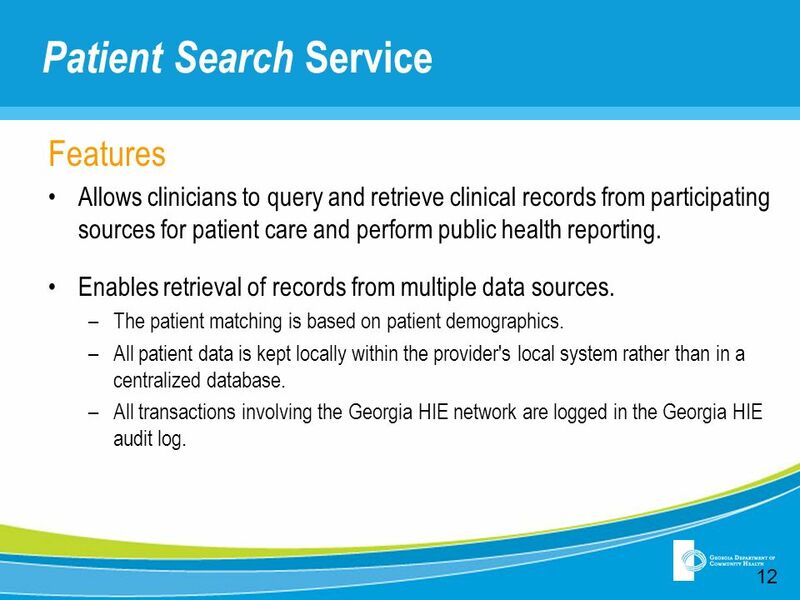 + Leveraging the power of North Carolina’s health information exchange to improve patient outcomes Organization Name Date. 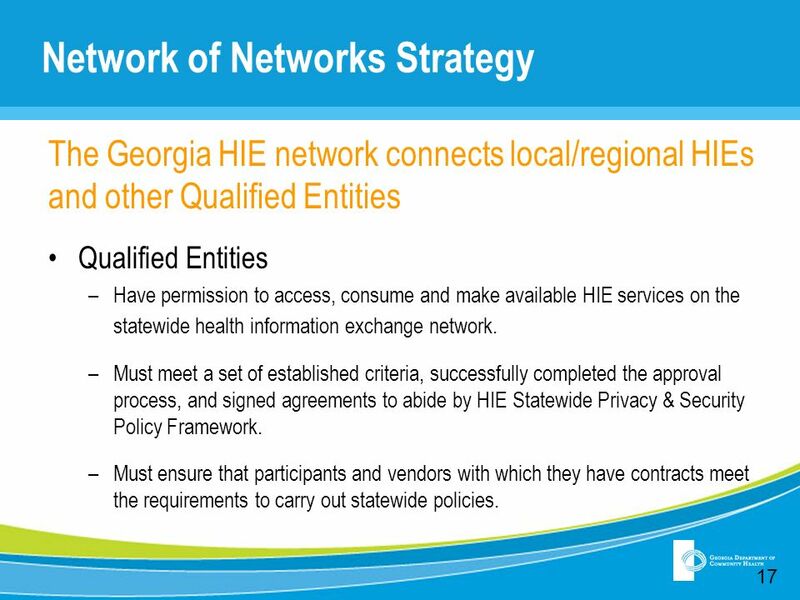 California Trust Framework Pilot Request for Funding Informational Webinar 24 June 2013. 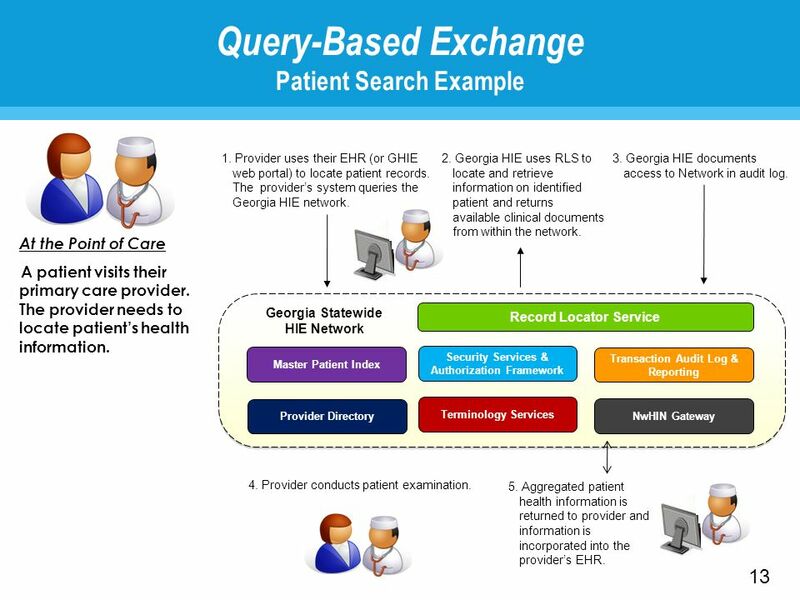 1 Meaningful Use Stage 2 The Value of Performance Benchmarking.